Wade McGinnis is Vice President of Marketing/Leasing and Development, and a Partner with Barshop & Oles Company. Since joining the company in 1995, Wade has negotiated lease or sale transactions totaling over 2 million square feet with a dollar volume of over $150 million. His responsibilities include general oversight of the San Antonio office including land acquisition, new development, marketing and leasing, and sales of the company's and other third party owners portfolios in the San Antonio market. Wade enjoys established relationships with many local, regional and national retailers, as well as in the development, banking and commercial brokerage communities. Prior to joining the company, Wade was a partner with TRW Properties Corporation (Dallas), Director of Leasing for CompuAdd Corporation (Austin), a commercial broker with NHP Real Estate Company (Austin) and a commercial banker with InterFirst Bank (Dallas). 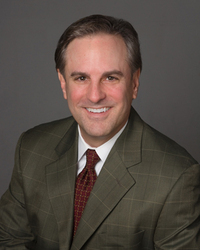 Wade currently serves or has served on the boards of Marathon Title Company, the Real Estate Council of San Antonio (as Vice President of Government Affairs), the President's Council (as Chairman) and the San Antonio Mobility Coalition. He is currently serving on the Advisory Council for the Rawls College of Business at Texas Tech University. He also served on the Citizens Advisory Committee for the Loop 1604 Environmental Impact Statement. Wade holds a B.B.A. in Finance (Accounting Emphasis) from Texas Tech University. He holds the designation of Certified Leasing Specialist (CLS) through the International Council of Shopping Centers and he is a licensed real estate broker in the State of Texas. Wade is married with 2 children. He and his family are members of Oak Hills Church in San Antonio.